I was making the finishing touches to my beauty room as I became disgusted by the sight of my old beauty blenders: foundation stained, dirty and gross. They were beyond repair. I had to replace them as soon as possible as I couldn’t imagine applying my makeup without one. I wanted to show you the new beauty blender’s in my collection after Beauty Bay tempted me into buying not one, not two, but three new sponges. 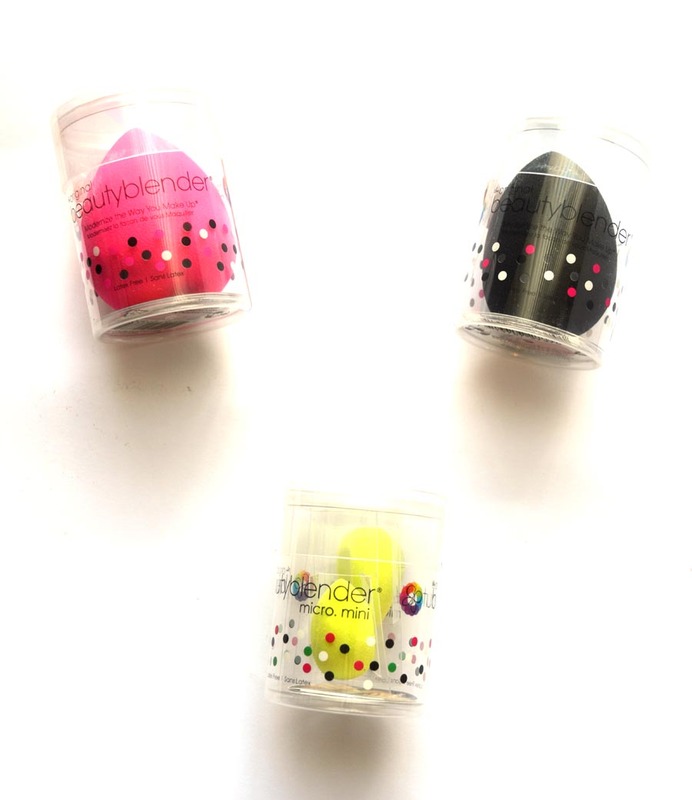 Continue reading to find out more about my Beauty blender haul as well as the comparison between the three. My previous original pink Beauty Blender had turned a muddy brown and to have a vibrant pink one back in my life fills me with joy. The almost-suede feel to this sponge is unique to other sponges and although I have found many cheaper alternatives (see that post here) I keep coming back to the original. It is hyped and for a very good reason; it helps skin look flawless whilst blending product together effortlessly. I couldn’t not pick this up in this Beauty blender haul. I had only every tried the original Beauty Blender but I was curious. As soon as I read “The Pro Sponge delivers the same outstanding results as the original Beauty Blender Sponge yet allows you to achieve a higher pigmented coverage”, I was sold and knew I had to try it. My first impressions was that it looks so much more professional and the colour didn’t bleed when I washed it, the only fault I have with the pink one. The Pro Sponge is softer whilst the pink is denser, with the black one growing ever so slightly larger. I can’t say I have a preference and notice a big difference between the two. I should control myself, but again curiosity encouraged this purchase. A Beauty Blender made specifically for those hard to reach areas sounded interesting, especially as I love buffing out concealer under my eyes, I wondered if this would make it easier to do so. They are of course much smaller than the face sponges (as the name suggests) but still grow in size to follow the Beauty Blenders unique selling point. I felt a little underwhelmed when using these: they were not as easy to use, they didn’t blend product as easy (being for a smaller area they help pack product on more so than blend it out) and felt a little novelty. I wouldn’t buy these again to be honest. There is nothing more satisfying than new Beauty Blenders and I’d always recommend Beauty Bay for a quick and easy delivery service. I love the Beauty Blenders and know I couldn’t not have one in my collection. Which is your favourite makeup sponge? 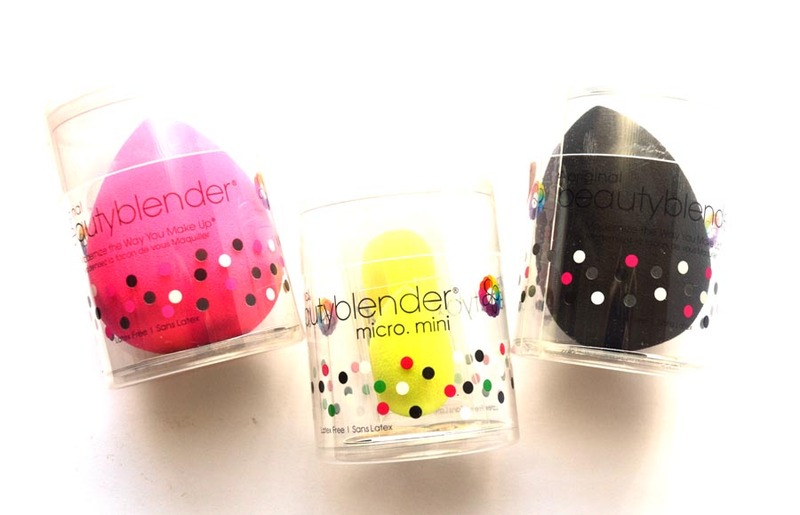 Have you tried any of these from this Beauty blender haul? Review – Mac Studio Fix Foundation Sample.